Shack Shine is Operating in Chicago West! We are so excited to welcome our newest Franchise Partner: Billy Sawisch. Now open for business in Chicago West, Billy is offering house detailing services to the local community. His hardworking crew has hit the ground running and is ready to serve new customers today. We had a chance to chat with Billy to find out what made him want to join the Shack Shine family. 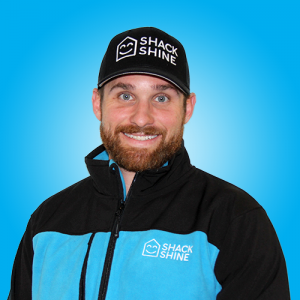 I chose Shack Shine over other franchises and business opportunities because of the people and the experience. I’ve always wanted to be in control and run my own business, but I wasn’t naive enough to think I could do it alone. Compared to other companies, the experience with O2E Brands and the ambitious, caring people I met are aligned with my goals and values. I was an options trader on the floor of the Chicago Board of Trade for the last 12 years. I’m most looking forward to being in control of my own destiny. I take great comfort in knowing the onus is on me and how well we do will be a reflection of my work. It will also be very rewarding for me to build relationships in the community and provide a great workplace for my employees. My main focus is my family, which includes my wife and three sons, and whichever activities they are involved in. I am also a sports lover — particularly basketball and baseball, which I played in college. I currently help coach my sons’ sports teams. My motivation in life is my family. I am grateful for every day and every person in my life. I also take pride in how well I do at every task, and how I approach any challenge I face. What makes Chicago West unique? The western suburbs of Chicago are unique because of our blue-collar ways. We don’t complain — we go about our work and do what needs to be done. We have a friendly approach and we all take great pride in our families. I played baseball at the University of St. Francis for the legendary coach Gordie Gillespie. Also, my wife is a pediatric nurse at Edwards Hospital. Together, we have the antidote for a dirty home or a young one under the weather! Join us in welcoming Billy to the Shack Shine family!